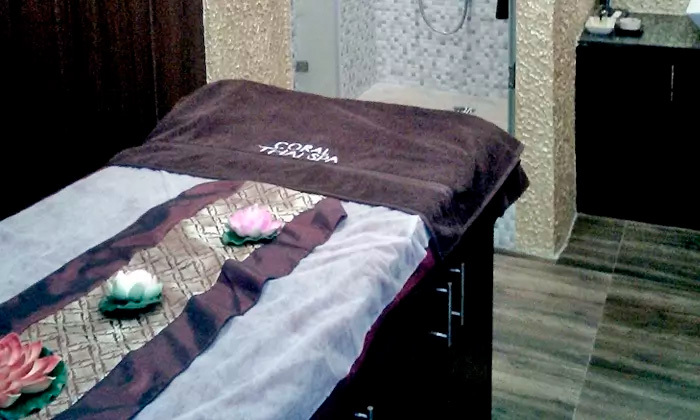 Coral Thai Spa, the unisex spa in Rangoli Mall, Howrah provides the best of spa services including full body massage, full body scrub, full body polishing and shower. The rejuvenating Thai spa and massage sessions here are simply delightful for your senses. The chic and contemporary ambiance is refreshing while the staff is professional and very attentive.